With Star Wars Celebration Europe 2016 right around the corner we're finally getting our first look at some of the exclusive collectibles that will be available at the convention. Our friends at Jedi News received word from Mattel that a brand new prototype armor Boba Fett Hot Wheels car will be among the items for sale exclusively at this Celebration. The cars will be available at booth #S502 on the Celebration floor, and Bryan Benedict will be there Saturday morning for a car signing. 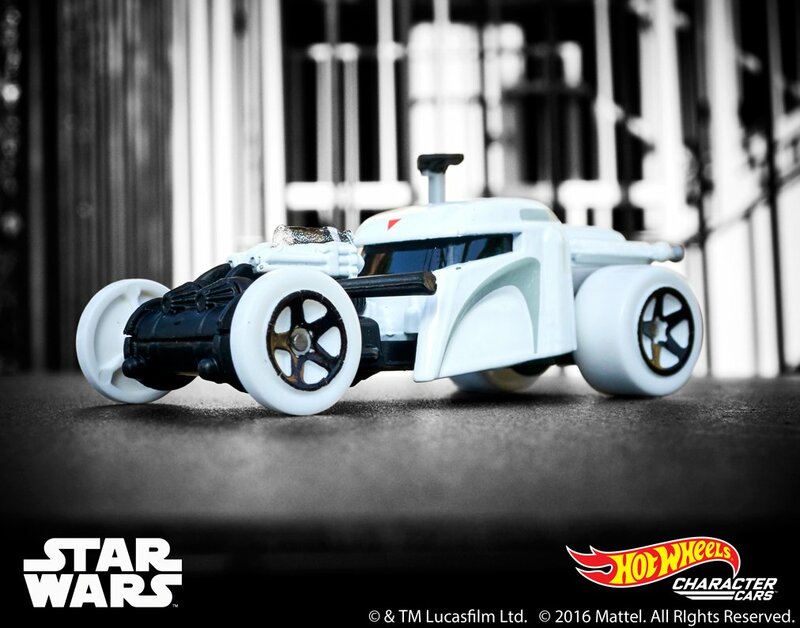 In addition, those who attended the Hot Wheels panel on the Behind-The-Scenes stage on Saturday(4:30 PM - 5:30 PM) will get a first look at the upcoming line of Star Wars Hot Wheels cars and will be able to give their two cents on what the next Celebration exclusive will be. Star Wars Celebration Europe 2016 is happening July 15th - 17th at the ExCel Exhibition Centre in London, England!